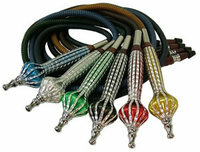 The Swan is one of the few Hookahs that can be considered a true piece of art. 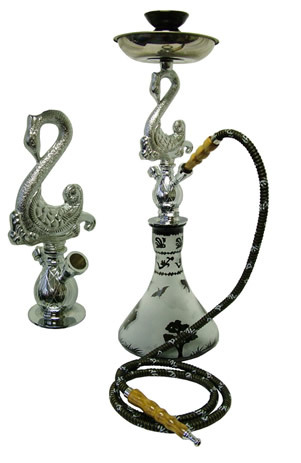 This Hookah consists of a high quality detailed solid steel shaft. The Swan also contains a glass vase that is considered to be one of the most durable and thickest style vases on the market. 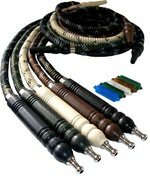 This Hookah also contains an Exotic Hose that measures approximately 7 feet in length, allowing for one to smoke more comfortably with their friends. The Swan may be used for both decorative and smoking pleasures, providing entertainment for years to come. Please be advised that the design on the Glass Vase may vary since each vase is unique. Variation Warning: Please be advised that the design on the Glass Vase may vary from the picture since each vase is unique. Click Here to contact customer support for further clarification if necessary.